Just past Eastport Golf Course on Rivergate Lane is a delightful dual community of Rivergate 55+ Garden Homes and Whispering Woods, offering townhomes with garages and a condo complex at the end, overlooking the Intracoastal Waterway. 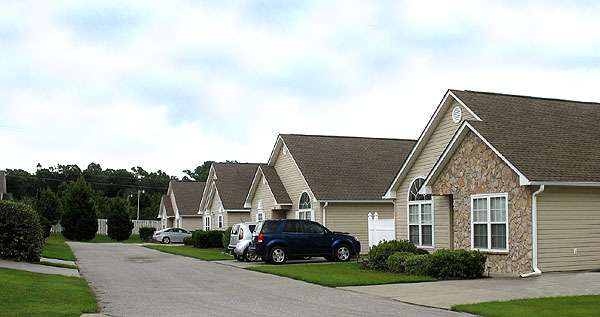 Built in 2009, Rivergate 55+ homes are restricted to having at least one resident that is over 55 years old. The homes are charming 3 bedroom, 2.5 bath stone-trimmed, with landscaped and maintained yards, most with 1 or 2 car garages. Prices range from the low $100's for regular patio homes, and up to $150-160,000 for homes with garages. Rivergate has a small pool and clubhouse, and a homeowner's association that handles maintenance, landscaping, and cable tv. HOA fees are low - $153 per month, and everything is taken care of except for electricity and water. 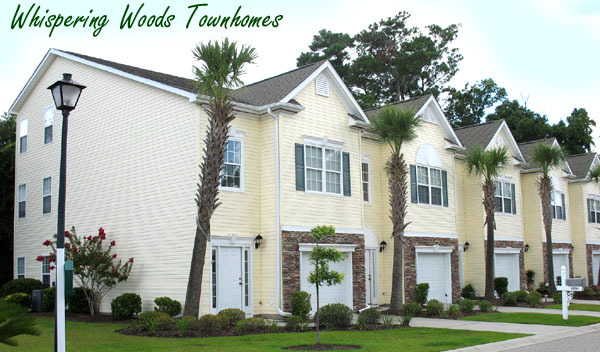 The neighborhood changes into the Waterway community of Whispering Woods, which first includes 3 bedroom, 2.5 Bath Townhomes. 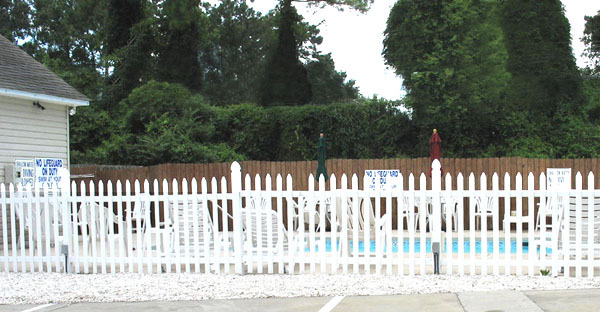 Whispering Woods offers a pool, and the HOA fees of $215 include landscaping and maintenance. Most townhomes include a 1 or 2 car garage. Prices are around $139,000 for the townhomes. At the end of the road lies a condo building which backs up to the Intracoastal Waterway, offering fantastic views of water and boats along with covered porches to sit and enjoy the beautiful sights. Condos are 3 bedroom 2.5 bath luxury units, sharing the pool, and also have a walkway in the back which leads to a covered gazebo and day-dock on the water. The condos run just under $200,000, and HOA fees are around $210 per month. Property insurance in the communities may be separate from the HOA fees and will change from year to year. 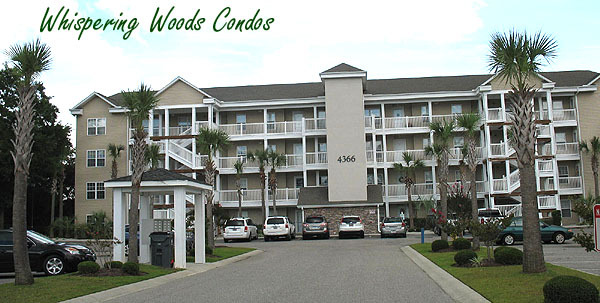 Whether you are interested in the 55+ Rivergate homes or the townhomes and condos at Whispering Woods, you'll love this charming and peaceful neighborhood and its proximity to the marina, several great restaurants, the Waterway, and of course, North Myrtle Beach itself. See below for listings in Rivergate, and search for available condos in Whispering Woods HERE. Listing courtesy of Shoreline Realty , Karen Knight.